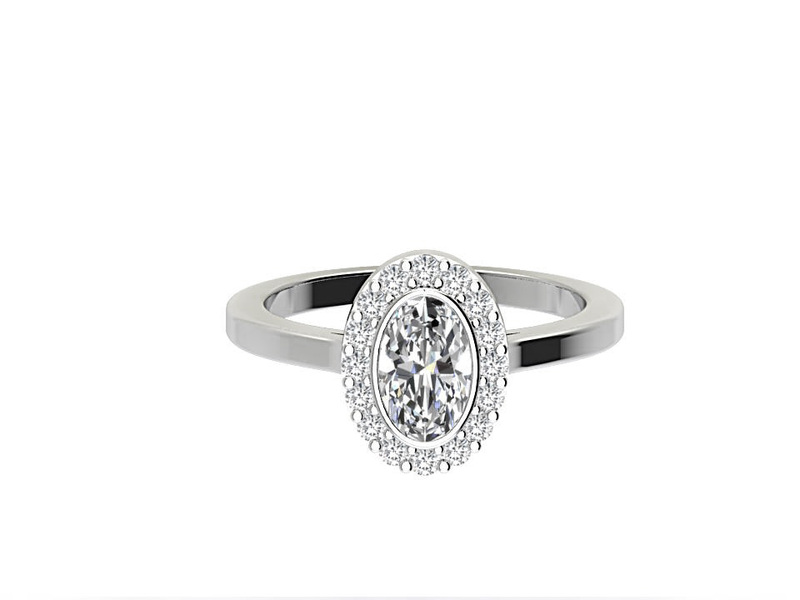 Set in 18k white gold but available in all precious metals with a total carat weight of 0.80ct, this classic style engagement ring is set with an oval cut diamond carrying a total carat weight of 0.70, F colour with Si clarity. 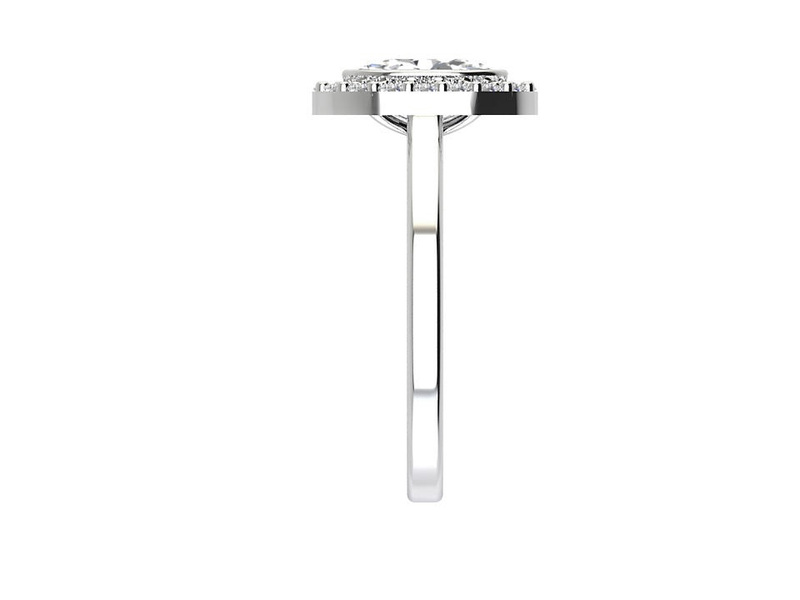 Surrounded by a halo of round cut diamonds. The centre diamond is certified with F colour and Vs2 clarity.We have access to over 375,000 certified diamonds, the centre stone in your ring can be amended to reflect your own personal preference.